On April 15, the Centers for Medicare and Medicaid Services (CMS) announced some new initiatives as part of their ongoing mission to make sure nursing homes adhere to the highest level of quality and safety. This comes in response to a report from the U.S. Government Accountability Office that criticized CMS for gaps in federal oversight of nursing home abuse investigations. The report from the government watchdog claims that CMS failed to adequately track nursing home abuse allegations in Oregon and put patients in the state at risk. While the statement issued by Seema Verma, the current Administrator of CMS, did not address the GAO report, it is clear that the organization is serious about reviewing and improving their nursing home oversight processes in order to rectify some of the glaring issues mentioned in the report. CMS, in addition to the administering of Medicare and Medicaid, is responsible for developing and upholding quality standards in long-term care facilities through its survey and certification process. This quality assurance is not only in the interest of protecting nursing home residents and their families, but also the individuals who work in them, like you. 1. There will be an effort to improve nation-wide consistency in nursing home oversight. CMS uses the insight of State Survey Agencies (SSAs) to aid in the oversight of nursing home quality. SSAs are the boots on the ground eyes for CMS; they pay annual visits to facilities to make sure they are meeting health and safety requirements, as well as state licensure requirements. However, there are overwhelming inconsistencies from state-to-state in how agency surveyors identify facility issues. This causes a large disparity in quality of facilities – so where one well-ranked facility may be in full compliance, another may have a score of issues that places residents and nurses in danger. Verma writes that the first step is to examine processes of training state agencies from the top down. By re-educating state agencies on the expectations of a compliant facility and arming them with clearer procedures of identifying and reporting unsafe practices, the hope is that not only will more issues be caught sooner, but also that future negligence and abuse can be stopped in its tracks. 2. CMS will get tougher on compliance enforcement. One major issue that plagues skilled nursing facilities is unsafe staffing ratios. Without safe staff ratios, providers cannot feasibly provide adequate, safe care to residents – putting nurses like you in uncomfortable, and potentially harmful situations. CMS is looking to toughen up on compliance, but by using data, they’re also hoping to be smarter about how they enforce it. For instance, since late 2018, CMS has shared nurse facility staffing data with SSAs, so that agencies can predict which facilities have potential issues with staffing and can tailor their reviews – namely by conducting surveys unannounced at times that are statistically understaffed. CMS is looking for ways to hold nursing homes more accountable with penalties for lack of compliance. The trickle-down effect of this tougher line on compliance means that nursing homes will be safer places for you to work. 3. There will be an increase in quality transparency. Nursing Home Compare is a CMS-run website that shares quality and safety data to help the public make educated decisions on where they receive care, where they send their families for care, and where they work. While CMS currently shares important payroll-based journal (PBJ) data and quality ratings on their site, they have made a commitment to publish even more data. When a facility is deemed unsafe, the public has a right to know. So, Verma promised that CMS will not only publish but also actively spread the word when nursing homes fail to meet minimum quality standards. CMS also recognizes that transparency means not only publishing more data, or making data more readily available, but publishing data that the public can understand and use to make informed decisions. 4. Quality can improve once old ways are removed. “This is not business as usual — we are pushing beyond the status quo,” wrote Verma. While CMS has always been responsible for ensuring quality, just as healthcare practice continues to evolve, so should the methods by which we measure the quality of our healthcare facilities. Part of pushing past the status quo comes with the hard look CMS takes on its current processes and asking how they can be improved. One way is to score providers on outcomes, not on their adherence to facility processes. This helps facilities push past practices that are done because they always have been and evolve towards practices that are done because they actually improve patient outcomes. 5. CMS will prioritize patients (and providers) over paperwork. At IntelyCare, we are in a unique position as a partner of both nursing professionals and skilled nursing facilities, two stakeholders at the very epicenter of this issue. While it’s troubling to see the myriad of problems that nursing homes face come to light, we’re encouraged by the words and promises of Verma and her team. We believe it is a step in the right direction to acknowledge that our nation’s nursing homes could be better and that there are initiatives in the works to make them better. We can always do better for our most vulnerable population, whether it’s by improving the quality of their care or the conditions of their caregivers. We look forward to watching these changes unfold, and hope a safer nursing home experience, for you and your patients, is on the horizon. IntelyCare was created by nurses, for nurses. 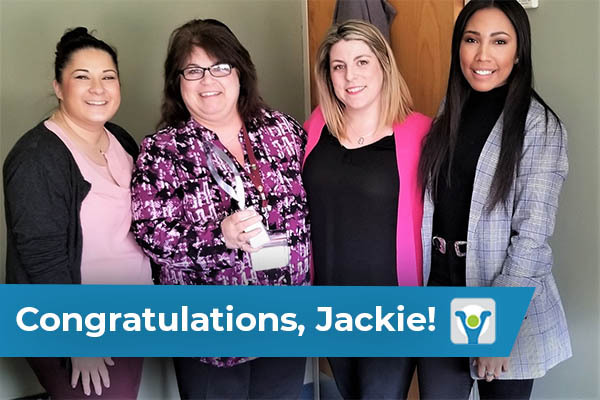 We’re here to take care of those who take care of everyone else; our staffing solution gives nurses the opportunity for a better, more flexible schedule to help reduce nurse stress. At IntelyCare, we’re driven to offer nurses and CNAs healthcare’s best working experience. Apply today. 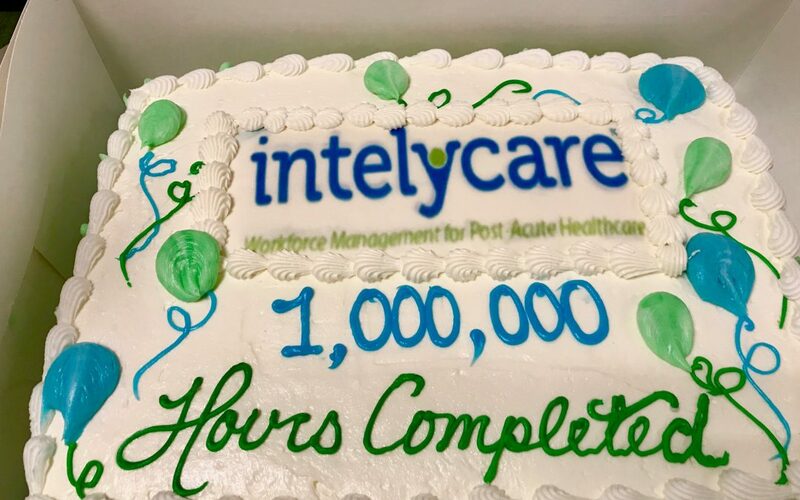 On Friday, March 15, IntelyCare celebrated one million total hours filled by our IntelyPros. 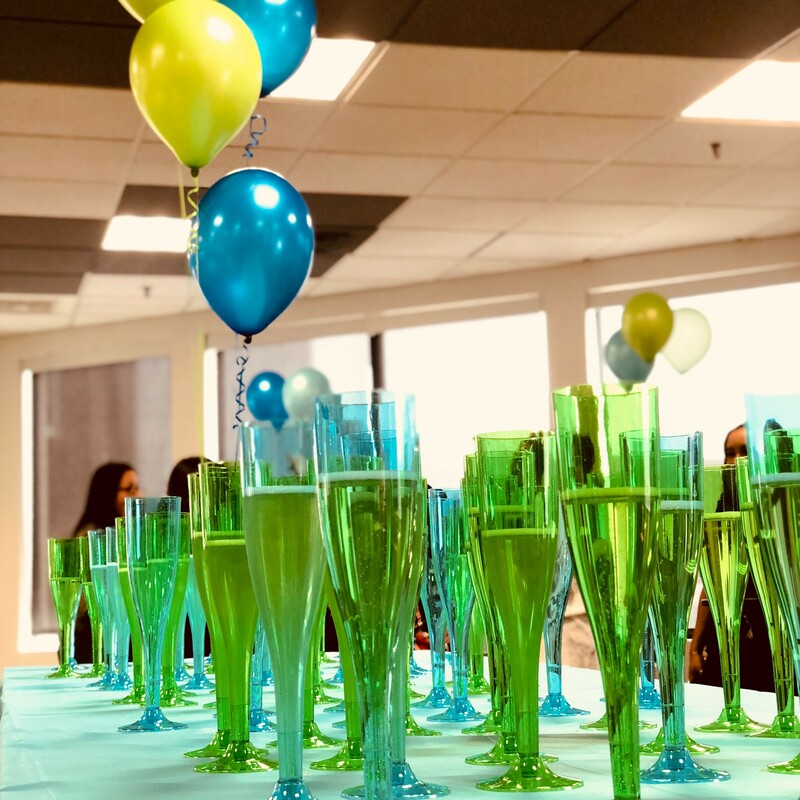 This milestone is a testament to the diligent work done by our ever-expanding team of IntelyPros, and the dedication of our facilities’ Schedulers, Directors of Nursing, and Administrators across the country. We’d like to thank you for joining us on this journey to one million. Whether you’re new to our team, or have been with us from the beginning, thank you for your commitment and your support of the IntelyCare mission. Thanks to you, we are working to improve the healthcare staffing industry, one hour at a time. We look forward to what the next million hours bring! 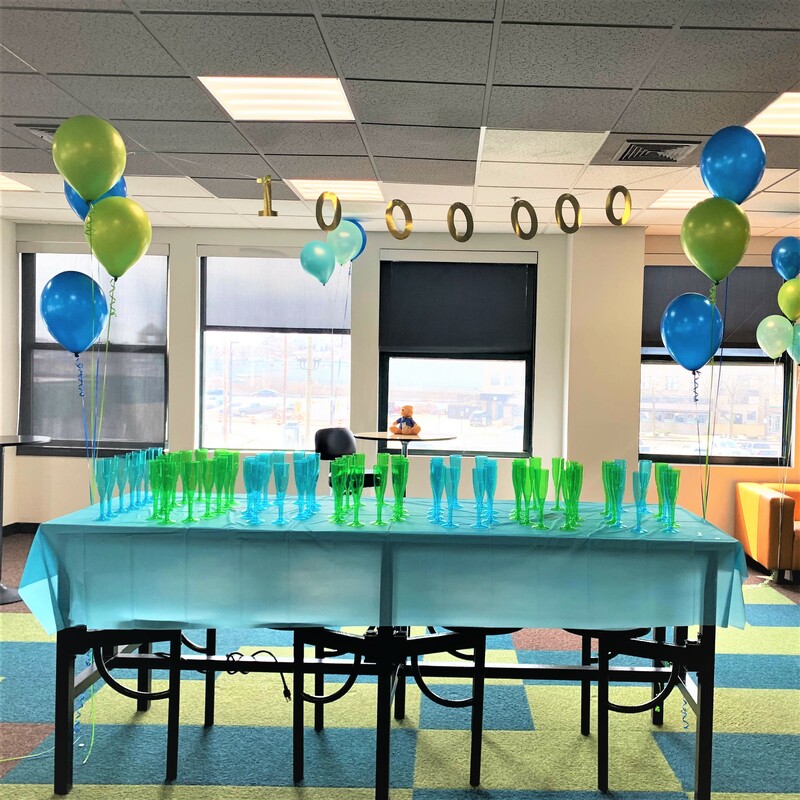 Check out some images from our Million Hour party! Nurses endure a lot of stress. The long hours and demanding shifts can put a massive strain on their physical, mental, and emotional health. Over the years, several studies have documented the impact of work-related stress; one study found that nurses experiencing excessive stress from work had double the risk for a heart attack, while another discovered that workers who put in more than 10 hours a day had a 60% higher risk for heart disease than those who worked a more standard 7 hours per day. Armed with that information, nurses are faced with a myriad of potential poor health outcomes. Stress not only affects nurses’ well-being but can also impact their ability to provide the best, most compassionate care to their patients. Small acts of self-care can go a long way to help reduce nurse stress and prevent burnout. Here are a few easy tips any nurse can incorporate to mitigate stress and improve their overall physical, mental, and emotional well-being. Exercise not only has physical, but also psychological benefits. When we exercise, our body releases endorphins, chemicals which interact with receptors in our brain and trigger positive feelings in the body. But that doesn’t mean you have to get off the couch and start running marathons; there are many different exercises that can help reduce stress, like yoga. Whether it’s a challenging yoga class or a slower, relaxing flow, yoga utilizes movements that improve circulation and help calm your mind. Yoga not your style? Even taking a walk around the block with a friend can help improve cardiovascular and pulmonary fitness as well as your mood. Whichever form of exercise you choose, it matters less how you move, and matters more than you do. Strive to hit 30 minutes of exercise a day, and you’ll be well on your way to seeing some positive health benefits. Diet and nutrition play a large role in our ability to manage stress. Unfortunately, the Standard American Diet (SAD – a fitting abbreviation) – characterized by high intakes of red meat, pre-packaged foods, fried foods, high-fat dairy products, refined grains, and sugar – has been identified as a major contributor of health issues, such as obesity, heart disease, and stress, in the US. Focusing on incorporating nutrient-dense foods like vegetables, fruits, whole grains, beans, nuts, fatty fish and lean proteins, and swapping out alcohol and caffeine in favor of water can go a long way to help reduce and manage stress. Not to mention, there are many other health benefits associated with healthy eating, like weight-management and improved cardiovascular health. With busy schedules, it can be difficult for nurses to shop, prepare, and consume healthier foods; it can be much easier to fall back on pre-packaged, grab-and-go food. Instead of a complete diet overhaul, nurses should focus on incorporating fresh, unprocessed foods into their routine, and look for healthier on-the-go options for the busy days. With new healthcare technologies emerging every day, nurses spend more time looking at a screen than ever before. While these technologies have been designed to improve patient care, they may actually be negatively impacting the professionals who look at them all day. Recent studies have found significant associations between screen time and moderate to severe depression in US adults. When off the clock, nurses should reduce screen time to lessen the likelihood of eye strain, stress, anxiety, and depression. Enjoying time with family and friends, going outdoors, or reading a book are all fulfilling activities that avoid screens and can reduce nurse stress. There’s no single right way to tackle stress, and there’s no perfect solution to prevent nursing burnout. 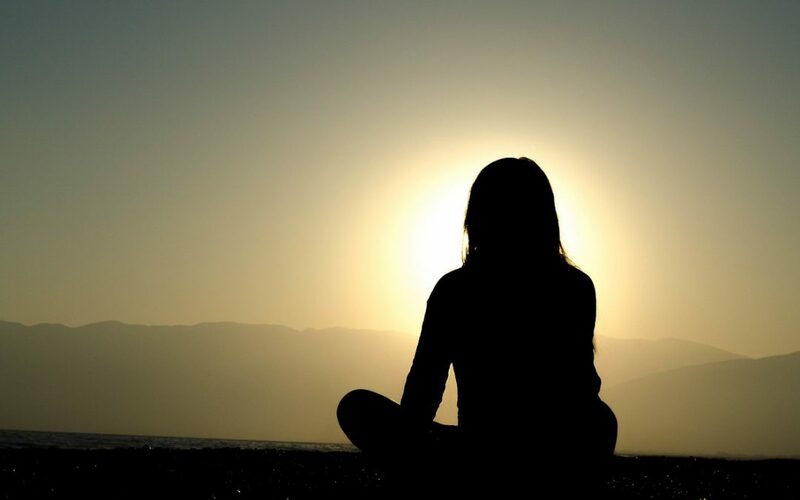 Whether it’s a beginner’s yoga class, preparing a healthy meal, or spending a screen-free day with your loved ones, the most important aspect of embracing self-care is taking time for yourself. Thank you for caring for others – now it’s time to care of you! Flexibility to do what you love. IntelyCare Spotlights Pennsylvania Registered Nurse, Brandi Meyers. 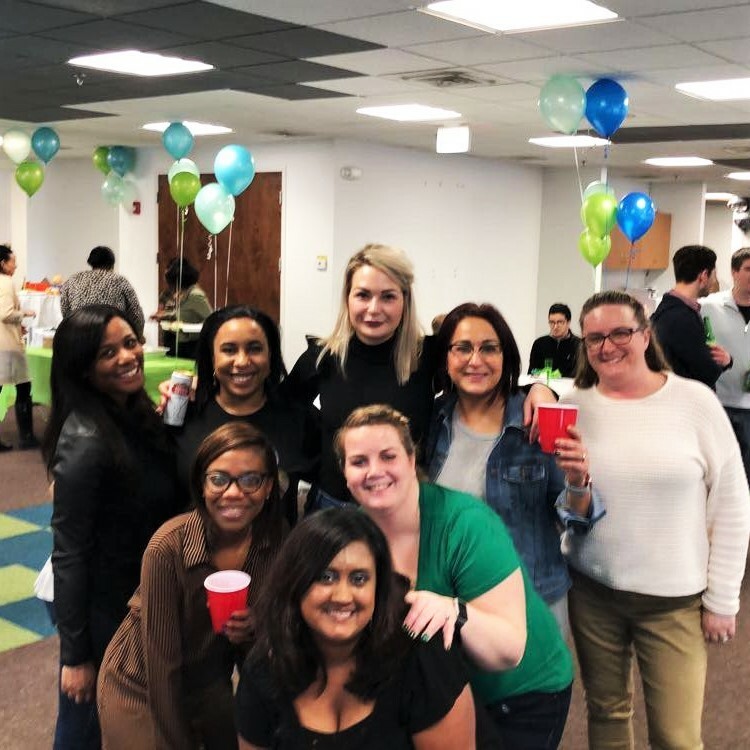 We have a great team of IntelyPros across the US, and we’d like to start highlighting our IntelyPros who are the heart and soul of what we do. 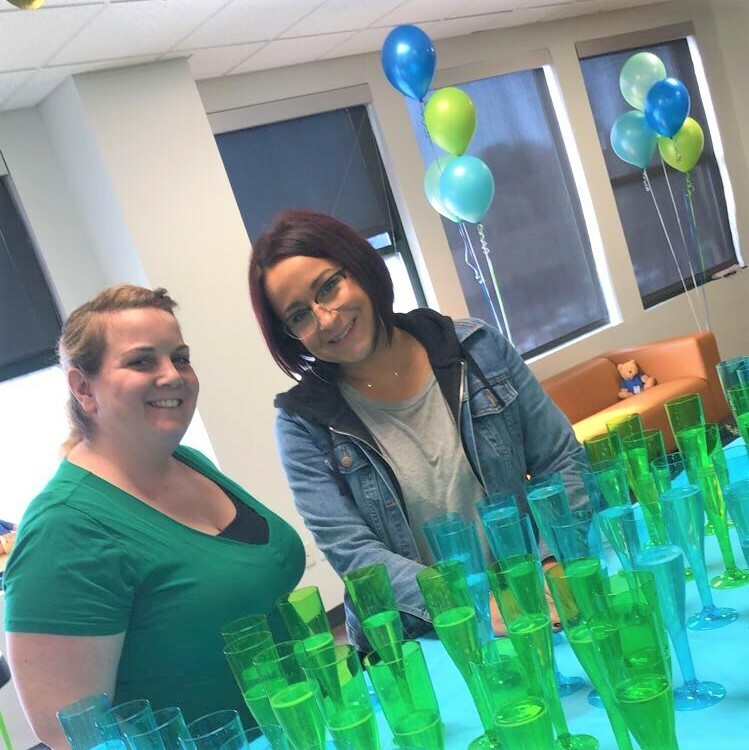 To kick off the series, we chatted with All-Star Registered Nurse Brandi Meyers of Pennsylvania, who loves the flexibility that IntelyCare gives her schedule. 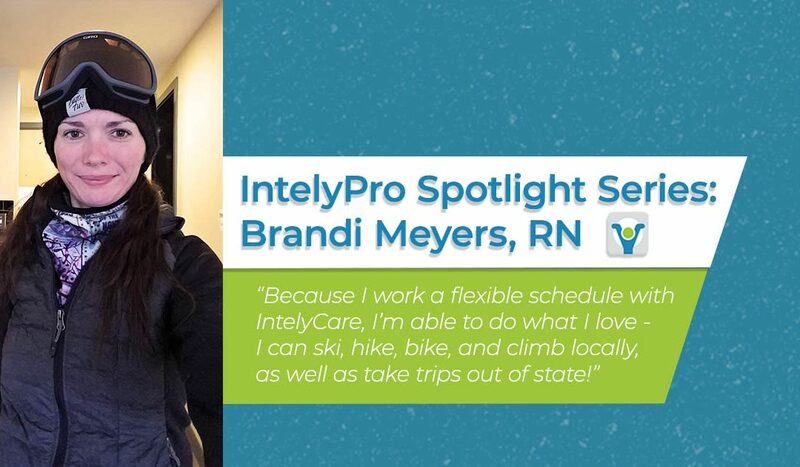 Brandi embodies everything we could want in an IntelyPro; she is hard-working, always on time, and she’s a great nurse that takes joy in helping others. We enjoyed getting to know her, and we hope you will, too! Hi Brandi. Thanks for agreeing to participate in our IntelyPro Spotlight series. To start, can you tell us what made you decide to become a Registered Nurse? Growing up, I always wanted to become a doctor. When I became a mother, I still knew I wanted to work in healthcare, and nursing seemed like the logical career that could support my family while working in a fulfilling field. What do you love most about your nursing career? I enjoy connecting with new people and helping them heal. I have a special affinity for geriatric patients in particular – they always have a story to tell, and they’re more than happy to share their wisdom with you. What’s your favorite IntelyCare shift? Weekend day shifts work the best with my schedule. 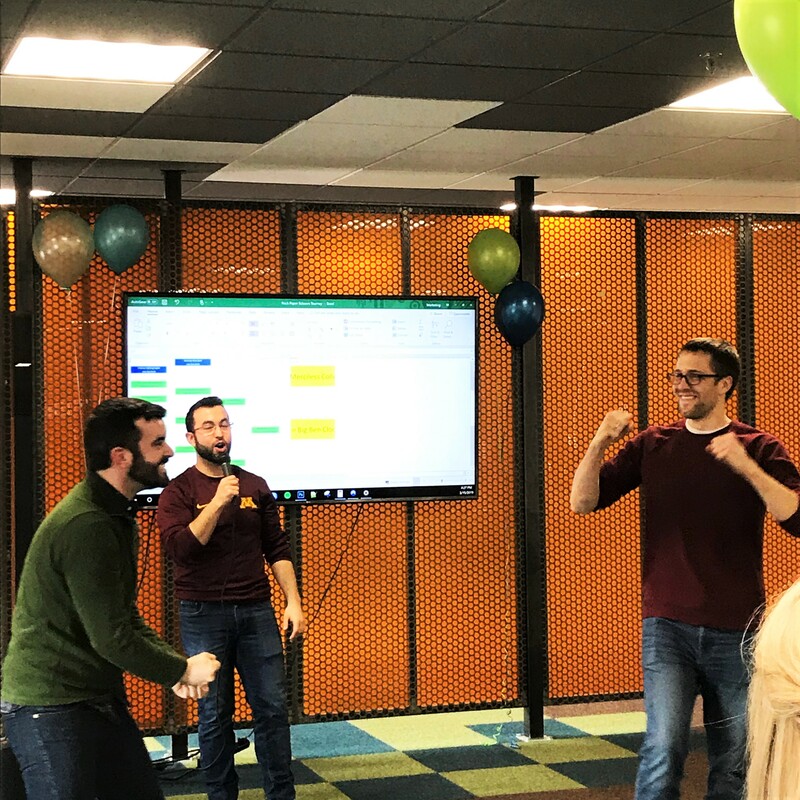 What do you enjoy most about working at IntelyCare? I love having the flexibility to make my own schedule, and the variety of getting to work at different facilities. I like getting to know the patients and nurses at different facilities, but it’s also refreshing to mix it up. Because I get to work at different facilities, no day is ever quite the same! What do you like to do outside of IntelyCare? Anything outdoors! I love to ski, snowshoe, hike, bike and rock climb. I’m currently working on getting my belaying certification. How does IntelyCare fit into your life? Being able to customize my schedule is so important – the flexibility allows me to do all the outdoor activities that I enjoy so much. Because I work a flexible schedule with IntelyCare, I’m able to ski, hike, bike, and climb locally, as well as travel out of state. Working for IntelyCare also gives me the opportunity to travel. I have been able to plan whitewater rafting trips in West Virginia and ski trips up north, all because I have the flexibility to not be locked into a typical 40 hour a week schedule. 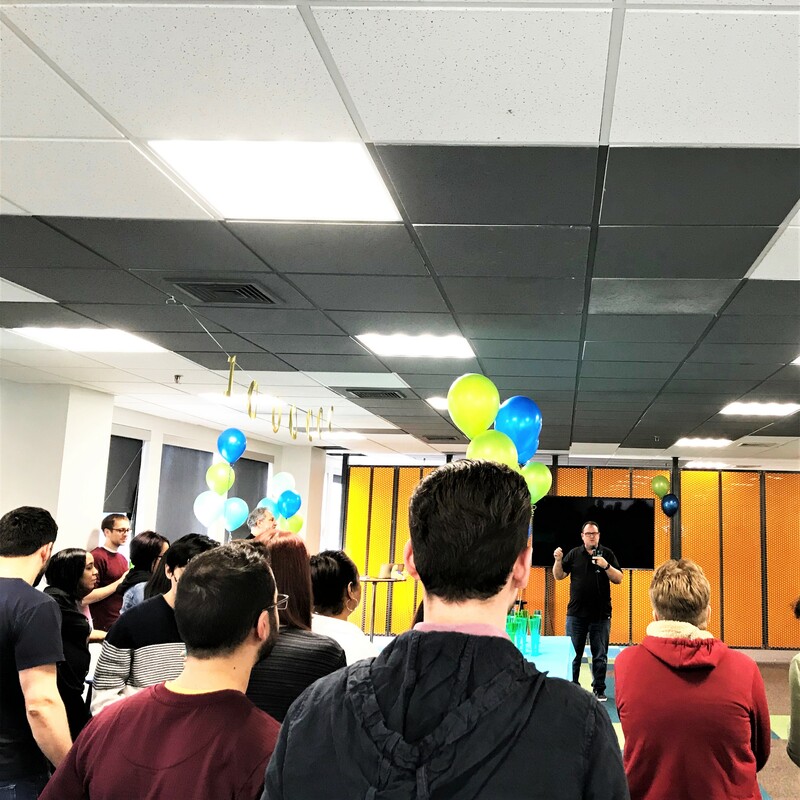 What advice would you give to people who want to start working at IntelyCare? It’s really the easiest process to apply. You complete your interview over the phone and upload all necessary documents online, instead of going into an office. It’s also so convenient how you can track your hours and pay, and pick up shifts, all from the app. Also, make sure your phone is charged so that you can easily check into shifts! I’m 38, I have three kids, and I only learned to ski last year. If I can do it all, so can you! IntelyCare provides you with the flexibility to choose when and where you work? Want to take control of your schedule? Apply today to start earning! Nurses are rock stars. They work long shifts at odd hours, extending compassionate, patient care, even in the most challenging situations. IntelyCare is here to take care of those who take care of everyone else, and we’re driven to offer nurses healthcare’s best working experience. But what does it take to be a better nurse at IntelyCare? Here are some key tips to help you succeed as an IntelyPro. Better nurses pick up – and complete – shifts. It probably doesn’t need explaining, but the more shifts you work, the more money you make! But another benefit to picking up and completing more shifts is the experience you gain. Every shift is a new learning opportunity, as well as a chance to build connections with new facilities. Both can help you become a better nurse. 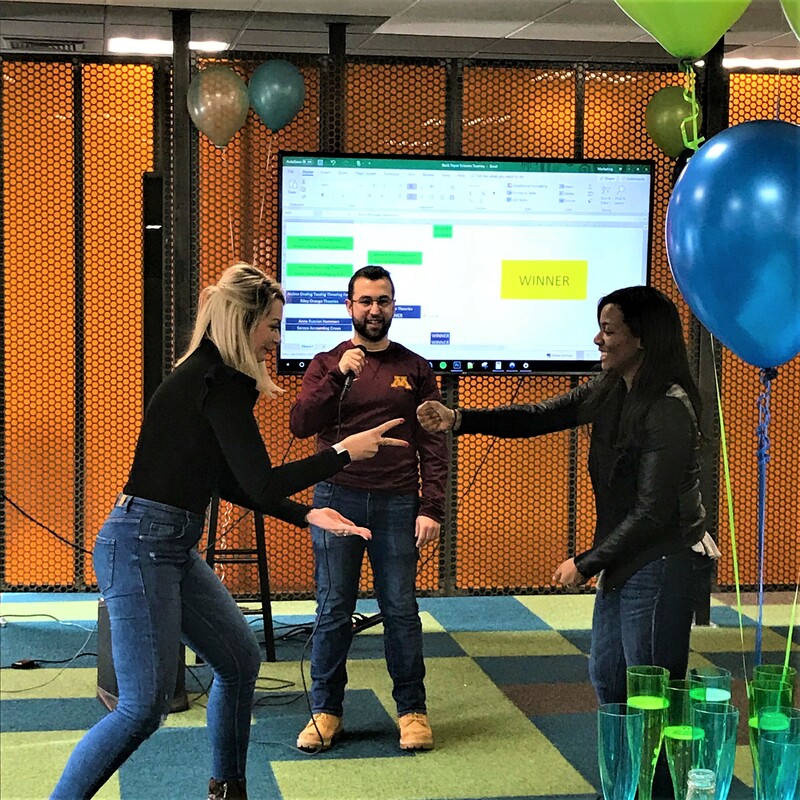 Our facilities love when they get to know their IntelyPros. When they know you, facilities can be confident that you will provide the best care possible for their patients. Better nurses arrive on time – every time. Our favorite IntelyPros are the ones that show up on time, every time. When working at a new facility, IntelyPros should make sure they arrive a few minutes before their shift. This allows you ample time to meet your supervisor, check in, and settle into your shift assignment. Arriving a bit earlier than your shift start time makes a world of difference for our IntelyPro’s experience. 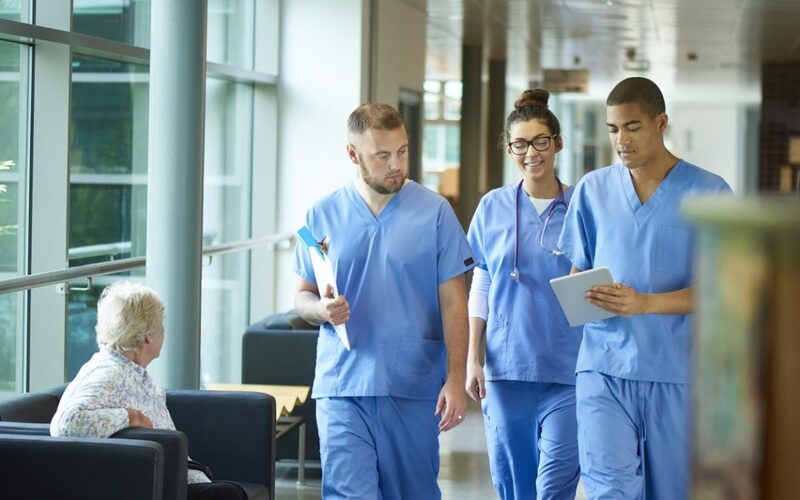 And, in general, being early for shifts can give you a better understanding of facility’s environment, which can help you provide better care, and be a better nurse to your patients. Better nurses pay attention to detail. Careful attention to detail isn’t only necessary for reading a patient’s chart; it’s also vital to adhere to the protocol of the facilities you work in. That means checking your profile for facility notes before your shift with IntelyCare. It’s also important to ensure you are up to date on required tests and immunizations, and check in with supervisors if you have a question about facility protocol. At IntelyCare, it’s important that we establish a clear line of communication between our team and our IntelyPros. IntelyCare is here to be your ally and advocate. Questions, concerns, or feedback that you have about your shifts or facilities are always welcome. We also know that communication is a two-way street. We promise to keep you in the loop as we grow and improve our experience, and will continue to inform you when we have updates. When in doubt, ask questions. Questions help us learn to become a better resource for you, and can help you become an even better nurse. Better nurses provide compassionate care. Nurses do what they do because they love helping others – so this step is an easy one. But in high stress or frustrating situations, it can be hard to keep your cool. Just know that even in the face of a challenging shift, remember that you are appreciated by your patient, the facility, and us. Thank you for providing care with a smile, even on the toughest days! Are you ready to be a part of the future of nursing? Apply today to start building your perfect schedule.